Observation - Pestle puffball Handkea excipuliformis? in woodland - UK and Ireland. 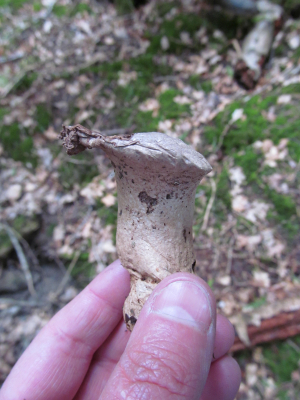 Description: Pestle shaped puff-ball growing on and around stumps in mixed woodland. Pestle shaped puff-ball growing on and around stumps in mixed woodland.